Going into our second year of Studio Table, we wanted to continue building on what we started -- creating a space and growing a community where guests could forge unexpected connections, find creative inspiration, and expand their horizons. This directive extends to the partners we choose. Last night, we were delighted to share our first sponsored meal of 2018 with Imagery Winery, based in nearby Sonoma County, and raise a glass to their newest collection of California wines. 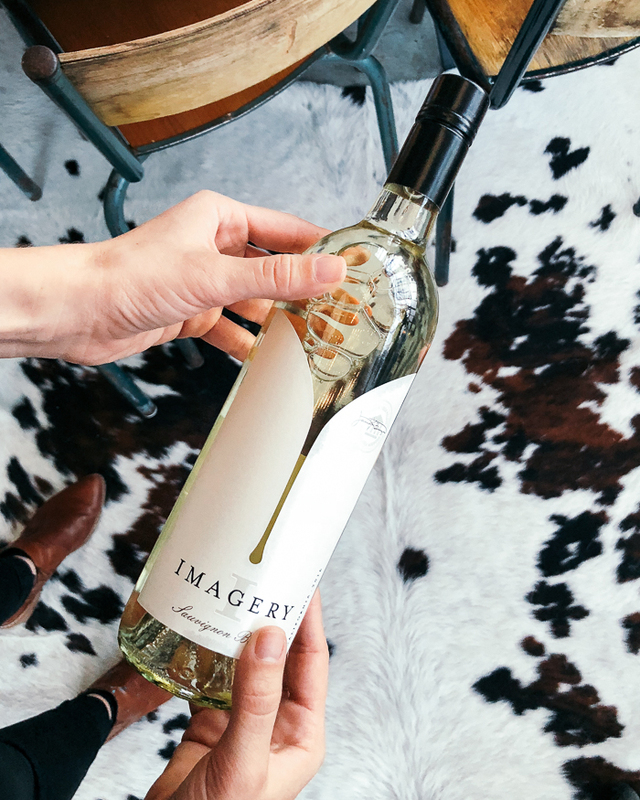 Imagery Winery is a natural pairing for Studio Table. Since its inception in 1980, Imagery has proudly patronized the arts. Each bottle label features original artwork from a range of talents -- from local artists to luminaries like Sol Lewitt and Shoichi Ida. The original artwork from these labels fills the Imagery Winery tasting room. Being surrounded by this collection of work enhances the creativity infused in every wine, creating a multisensory experience that is core to every visit. Beyond our shared appreciation for art, we see Imagery as our kindred spirit in creativity and discovery. The winery’s founder, Joe Benziger (part of the family behind Benziger Family Winery), started Imagery so that he could showcase lesser-known wine varietals and experiment with unconventional approaches to winemaking. From the beginning, Imagery has set out to broaden the palates of wine lovers everywhere with his unusual blends and winemaking techniques. Joe’s daughter Jamie has since taken up the family business, joining her father in crafting inventive and unique blends. It was Jamie who spearheaded the new California tier of wines, the first nationally-distributed collection to come out of their small winery. Launching at this scale gave Jamie a chance to push her own boundaries, while also offering a fun challenge of creating wines that would help this national audience to discover and seek out new varietals. Winter Nicoise -- a hearty salad of frisee, scallop, and potato cream to complement the minerality and citrusy acidity of the Sauvignon Blanc. Butter-poached vegetables, buttermilk and buddha’s hand -- a buttery-but light dish with a floral touch bring out the mineral-forward quality of this unusual Chardonnay. 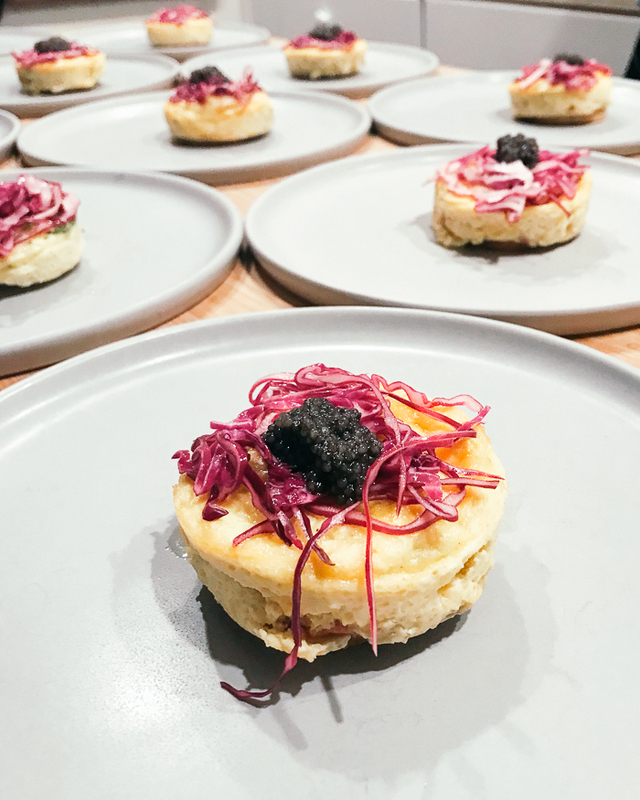 Pancetta & Leek Quiche with cabbage and caviar -- rich, caramelized pancetta and eggs from the land and the sea make this Pinot Noir sing. Duck Breast with cherry, mushroom, spinach -- earthy, savory flavors, bright cherry puree and robust duck come together for this big Cabernet. Hazelnut Brownie with goat cheese and raisins -- a rich and savory dessert, finished with olive oil and a sprinkle of flakey sea salt, help the chocolate and dried fruit notes of this delightful port shine. We are grateful to Imagery Winery for sharing their story and their craft with us tonight, and to our guests for making this dinner a joyful celebration! A Note on Partnerships: Studio Table’s community dinners are made possible through paid partnerships with companies that share our values. We’re thankful for companies like Imagery Winery, which support our creative endeavors, and the creative work of others. All content and opinions expressed in this essay belong to Studio Table.